Cliche has it that ‘adversity comes with it a greater seed of benefit’. 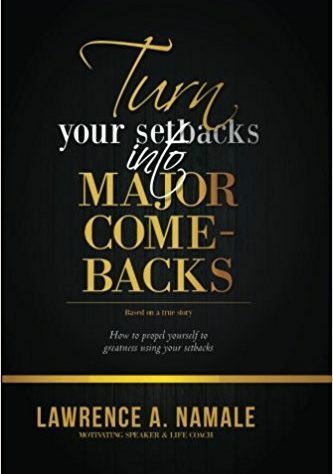 This book clearly and comprehensively describes not only why this cliche is true, but also provides 21 clear cut ways as to How a setback of any magnitude can be turned around, or used to become better, richer, grander, deeper and bolder. The style employed in writing is unique, in that it features a true life story of an executive who has been stuck from time to time in his life, well, just like many people have been. People that love to peruse through books will find themselves holding onto this one a little longer, thanks to the powerful style of highlighting fiery and thought provoking truths in every other page, in form of notes, quotes, and captions. The book is complete with the help of major leading lights in the industry including the father of Human Potential Movement, Tony Robbins, the CEO of Dream University, Marcia Weider, the founder of Wisdom Center, Mike Murdock, and the author of ‘Good to Great’, Jim Collins, among others like Joe Vitale, Peter J. Daniels, Maryanne Williamson, Kim George and Napoleon Hill. “The greatest knowledge that we as men and husbands need is the knowledge of why we were created in the first place”.